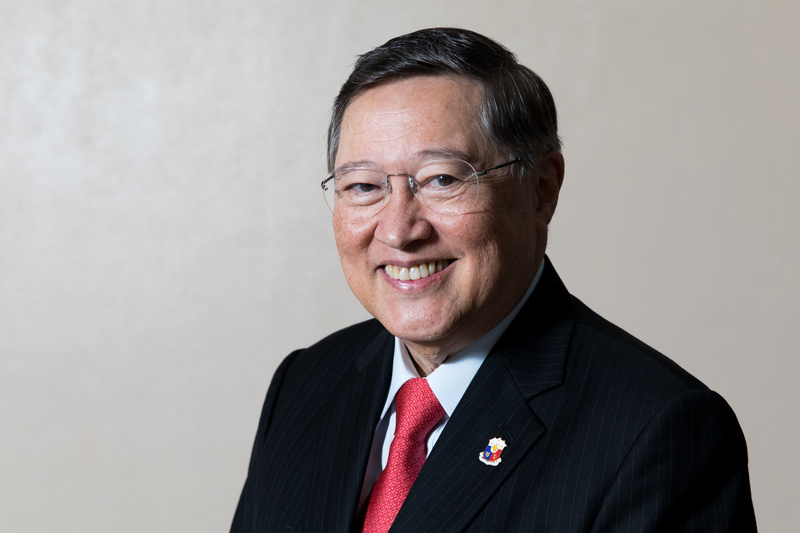 Finance Secretary Carlos Dominguez III said the $20.1 billion in net foreign direct investments (FDIs) over the two-year period of 2017 and 2018 remain “unprecedented” and show that the upward trajectory of FDI inflows is sustainable in the future. Bangko Sentral ng Pilipinas (BSP) data show net FDI inflows rising to $10.3 billion in 2017, which is double the amount of $5.6 billion in 2015. For 2018, the BSP said full-year net FDI inflows reached $9.8 billion. “Our net FDI inflows of about $10 billion yearly in 2017 and 2018, which total $20.1 billion is unprecedented. No other administration has shown this consistency,” Dominguez said. “This best illustrates deepening investor confidence in the Philippine economy as the government pursues business-friendly reforms on the watch of President Duterte,” he added. In 2010, net FDI inflows reached only $1.1 billion. It inched up to $2.0 billion in 2011, $3.2 billion in 2012 and $3.7 billion in 2013. Net FDI inflows amounted to $5.7 billion in 2014, went down slightly to $5.6 billion in 2015 and shot up to $8.3 billion in 2016. BSP data show that for 2018, net investments of equity capital were lower at $2.3 billion compared to $3.4 billion recorded in 2017. The bulk of equity capital placements in 2018 were sourced mainly from Singapore, the United States, Hong Kong, Japan and China. These were channeled primarily to: 1) manufacturing, 2) financial and insurance, 3) real estate, 4) electricity, gas, steam and air-conditioning supply, and 5) arts, entertainment and recreation industries. Reinvestment of earnings also declined slightly by 0.4 percent to $859 million in 2018 from $863 million in 2017. By contrast, net availment of debt instruments rose by 11.3 percent to $6.7 billion in 2018 from $6 billion in 2017, the BSP said. In a recent economic bulletin issued by Finance Undersecretary Gil Beltran, he said the economy has become more investment-led in 2018. 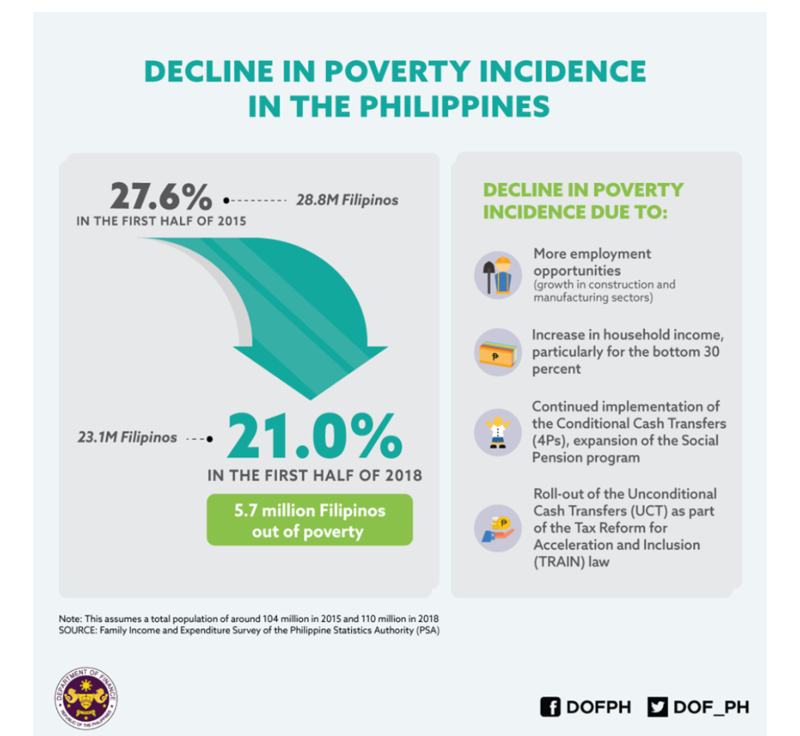 “As percent of GDP, capital formation which is the most comprehensive measure of investment, rose from 24.4 percent in 2016 to 25.1 percent in 2017 and further to 27.0 percent in 2018,” said Beltran, the Chief Economist of the Department of Finance (DOF). Beltran said “capital formation, which is one of the foremost determinants of future growth, in addition to employment and factor productivity,” showed a real growth of 9.4 percent in 2017 and 13.9 percent 2018. “These growth rates compare favorably with the 20-year average of 6.7 percent. Of the major components of investments, fixed capital which consists of construction and durable equipment grew by 9.5 percent in 2017 and 15.6 percent in 2018,” he added.